Ramsgate Festival - Website of lorrainewilliams! 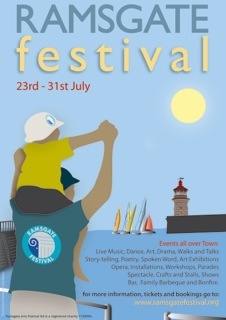 This year Ramsgate Festival takes place at the end of July in Ramsgate at the same time as the historic Ramsgate Week sailing regatta. Having worked for a few years with the producers Ramsgate Arts - and partners - on another of their strategic projects, Looping the Loop, I am very pleased to have the opportunity to provide some marketing and PR services to the Festival for the first time this year. Events are scheduled all over town ranging from a storytelling whale on the beach, to a giant squid roaming the streets, to Garsington Opera's production of Eugene Onegin being screened on the beach and a saucy End of the Pier Show, as well as talks, on literary giants who have spent time in Ramsgate and other aspects of the town's fascinating history, walks, parades, more art and live performances, bands, stalls, workshops, light and time based art on the beach at Dumpton Gap, Littoral Light, and more. Ramsgate Carnival, Best Fest and Spitfire Day are also taking place that week. it's going to be an incredible time to be in Ramsgate. I feel very fortunate to have the opportunity to contribute and to work with such an amazing team, especially Ramsgate Arts Director, Suzy Humphries, Ellie Jones, the Creative Director for Looping the Loop and the new Creative Producer for the Festival, Terry Askew, of Art Aha and Great British Carnival, who are all warm and inspiring women full of ideas and passion for public arts - and great fun! If you are a journalist and would like to discuss potential story angles, availability of interviewees or photo and broadcast opportunities, for covering Ramsgate Festival, please get in touch! And if you'd like to find out more about what the Festival means to local people - and perhaps consider making a donation to keep it going next year - please watch the video above. Click Here, or below, to donate if you feel inspired! I pay a visit each day a few sites and websites to read posts, however this web site offers feature based posts. I'll immediately grasp your rss as I can not find your e-mail subscription link or newsletter service. Do you've any? Kindly permit me understand in order that I may subscribe. Thanks. I really like what you guys tend to be up too. This type of clever work and reporting! 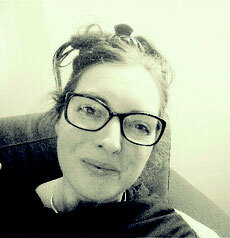 Keep up the wonderful works guys I've included you guys to my personal blogroll.